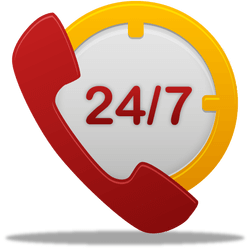 Encinitas Flood Services is here to take your call with information on the services that you require 24/7 – 365 days a year. If you experienced water damage and need cleanup restoration, sewage mitigation, and mold remediation, asbestos removal, call us today. Customers can rely on Encinitas flood services. We offer customers peace of mind that comes from knowing the job will be done right the first time. Can we receive service right away? In most cases, services can dispatch trained personnel to your site within sixty minutes. 24 hours a day, seven days a week service. They will call you right away and answer all your questions. How long will it take to dry my property? Structures usually take 3-4 days to dry. Some jobs require more time. Does our insurance carrier cover your service? Your insurance policy dictates the terms of your coverage. In most cases, insurance coverage is there to remedy your property damage. How long does it take for mold to grow? Within 24 hours. Is your company experienced in mold removal? Experts in mold remediation are available. The presence of mold on a property is a troublesome and unhealthy problem. This is why employed methods are used to ensure inhabitants’ safety. Can you work with my insurance adjusters to settle my claim? Years of experience in making fair appraisals are done to settle claims.